Native Instruments today announced Komplete 10 and Komplete 10 Ultimate, which both come with six brand-new instruments – Rounds, Kontour, Polyplex, and the three new sampled pianos that comprise The Definitive Piano Collection. 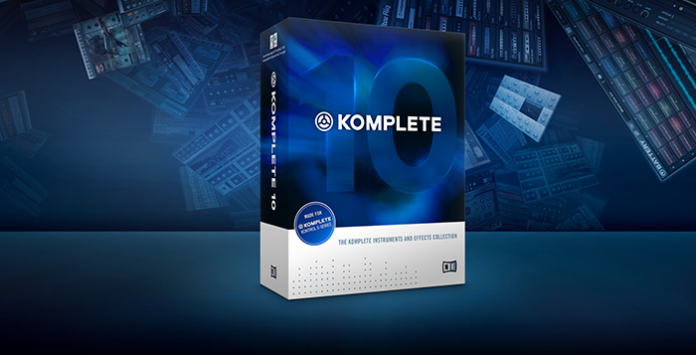 Komplete 10 now includes 39 instruments and effects. Komplete 10 Ultimate includes all 75 current Komplete Instruments and Effects at the time of release and over 440 GB of content. Notably, the prices of these bundles remain the same, increasing the saving to almost 90% over the cost of purchasing the instruments and effects separately. The Gentleman is a sampled instrument based on an upright piano from 1908. Sampled with all the original parts, the instrument’s delicate and expressive sound gives producers distinctive, turn-of-the-century character with a supreme level of control for their recordings. Along with these brand-new instruments, each bundle comes with several new additions released since Komplete 9. Komplete 10 now features 39 products, over 12,000 sounds, and over 130 GB of instruments and effects, including Drum Lab, Session Horns, and Supercharger. Komplete 10 Ultimate delivers 75 products, over 17,000 sounds, and over 440 GB of instruments and effects, such as Action Strikes, Molekular, and Rise & Hit – all stored on a USB hard drive for convenient installation. Both bundles also feature best-selling Komplete Instruments and Effects such as the Kontakt 5, Guitar Rig 5 Pro, and NI’s flagship modular synthesizer Reaktor 5. Massive, FM8, and Absynth 5 cover the complete spectrum of synthesis for any production task.